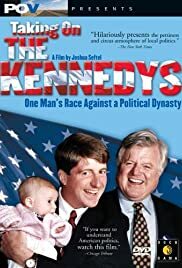 The situation is not made up and the characters are very real, but "Taking on the Kennedys", a gripping documentary that covers a congressional election and its effects on two candidates, features enough drama and plot twists to make it just as good as any motion picture. The drama begins as viewers meet the two candidates: Kevin Vigilante, a hard working doctor facing his first election, and the incumbent, Patrick Kennedy, who just happens to have one of the most famous last names in politics. At first, nobody seems to think twice about Kennedy winning the election, but Vigilante makes a wonderful "underdog", who ends up being more of a threat than Kennedy might have thought. Much of the film follows the Vigilante campaign, with the occasional shots of Kennedy at work. When we see Kennedy, we see the glamour and riches that he put behind his campaign with money from various donors, including actors, lawyers and doctors. We also see such family members as cousins John and Caroline and father Ted saying some nice words on Pat's behalf. Family members are present in the Vigilante campaign, but they're simply Rhode Islanders, nobody "special" like the Kennedy's. Much of Vigilante's campaign seems to consist of phone calls and little else. Hardly any of the town members know his name, and even his fellow doctors have thrown their support behind Kennedy, who, needless to say, is leading in the polls. The Vigilante campaign does not give up, though, even after Kennedy suddenly airs a string of negative and somewhat dishonest ads about Vigilante. Vigilante continues to work and he gains support in the form of a talk show host who happens to loathe Kennedy. He also manages to hold his own against Kennedy in a debate. Kennedy fights back with another string of negative ads, where he is basically accusing Vigilante of being a liar and a criminal. Vigilante then goes and confronts Patrick at an important campaign meeting, demanding that he pull the ads. When Patrick refuses, Vigilante is faced with a great moral choice...should he ignore that ads (as he chose to do before) and face jeopardizing his reputation, or should he fight back? While Patrick faces his moral dilemma, his campaign is able to unearth a skeleton in Patrick's closet, and just two weeks before the election, they make an ad of their own. The ad is of course a major success and now Kennedy and Vigilante are literally neck-in-neck in the polls. Vigilante now faces a chance of winning, but is he happy? As he comes to the emotional revelation that he has become just like his running mate, a great moral lesson is learned. Suddenly the election matters little to Kevin, for he's had enough of an experience to last a long time. 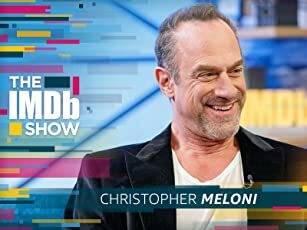 As viewers, we are fortunate to be "along" with Kevin during all of his experiences as a struggling, but happy candidate, who is unfortunately roped into the world of dishonesty that gives politics its bad name. As it is, "Taking on the Kennedy's" is in a class by itself for "educational" documentaries for it's honest, yet fascinating coverage. I can only hope that some Hollywood producer will one day view it, because I would love to see this done as a motion picture. Excellent film!